If you attended my workshop in Santa Clara, California and you have a feedback about it, please use the official workshop page to give it. You can always comment here or send me an e-mail, of course. Thanks again to Steve Souders, the guy behind WPO (Web Performance Optimization) and Velocity co-chair for inviting me again to this great conference. Full video of my conference will be available later! I have a question about removing address bar onload. Why do we need to do it? It does produce some usability problems. Users can (and they do) start interacting with page before onload fires, so if user already started scrolling down and suddenly page just hops back to top – you know how annoying it can be (think Twitter). So really what is the point? Getting more screen space? But vertical scrolling is very natural even on keypad only phones – users do it all the time and they expect it, so it’s not a real problem. I also wanted to ask you what do you think about jQuery Mobile? Today it seem like everyone just loves it, so I started digging it and the first thing that totally disappointed me is that it relies on jQuery core. So even gzipped it’s 31+20+7 = 58kb (mostly desktop browser hacks) which is horrible. I’m not even saying that a older devices will just choke on it. So does it really have a place beside being a UI framework for top devices? I know you writing a book on jQM so I would like to hear your opinion on that. Gracias por compartir estas ideas. Tus ideas son bien radicales y veo que la mayoría de los sitios que navego en mis móviles no te prestan la debida atención. Notablemente tu consejo “Don’t redirect”, parece que el mundo está empeñado en lo contrario. Como siempre aprendo mucho cada vez que te leo. I saw a video of this presentation on the Velocity site which was excellent. 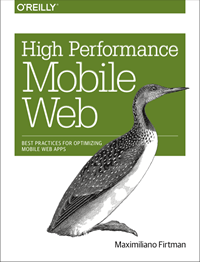 I highly recommend watching it for a good solid introduction to the issues in mobile web. Great coverage both in depth and breath.